It’s no secret that business signs are an effective way to identify your business name, location, and service offerings. However, not all signs are created equal. These days just having a sign may not necessarily be enough to stand out against the competition, and if your sign is poorly designed or outdated, may even negatively affect the perception of your business. Therefore it is essential for all business owners to understand what properties make up an effective business sign, and how signage affects the way that potential customers may view your business. Signs are arguably the most important aspect to the branding your business. They are the first step in establishing name recognition, and help to set you apart from competitors and nearby businesses. Creating a sign also gives you a chance to introduce and logos, slogans, or other forms of branding to the public. 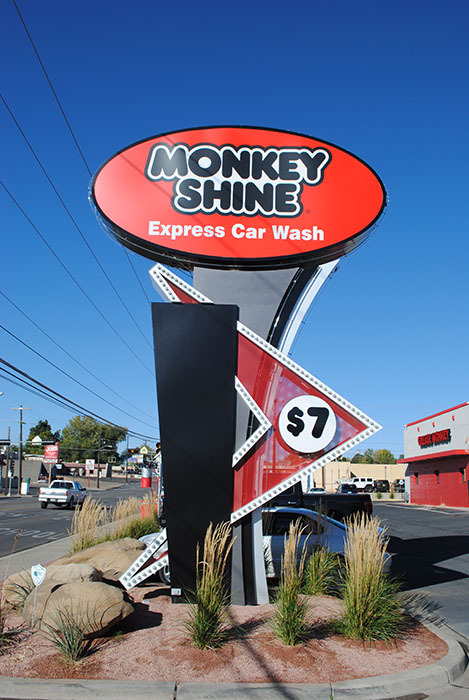 In addition, a good sign can serve as a beacon to your business, drawing in regulars and passersby alike. Creating a sign is your time to shine! The information and design of your signage should be creative and informative, and should use bold, legible text. Providing too little information may stop people from fully understanding your business offerings. Most experts agree that signs should be readable in 5 seconds or less. Too much information on a sign can be unattractive and disorienting, and can turn off potential customers. It is important to always check with your local municipality to see what regulations exist in your area regarding outdoor signage. According to a study conducted by FedEx Office in 2012, roughly 76% of consumers said they visited a store they had never gone to before solely based on its signage. This is a behavior that all of us are probably guilty of, one way or another. We tend to be intrigued by objects that stand out. The same study also found that 60% of consumers were deterred from entering a store because it didn’t have a sign, demonstrating the importance of having a visible and legible sign. Another important finding in the study was that over 2/3 of consumers feel that the signage of a business reflects the overall quality of its products or services. Signs are usually the first part of your business that a customer sees, and a sign with a cheap design or incorrect wording tends to make customers believe that the business inside is also lacking quality and integrity. For businesses that are just getting started, or for many businesses in general, money for an intensive marketing campaign can be hard to come by. According to the Small Business Association, a government organization focused on providing support to small businesses and entrepreneurs, signs can provide some of the best returns on investments in terms of marketing costs. They have calculated that the cost-per-thousand on reaching a wide audience is much less for signs than for other types of advertising (i.e. radio spots). Choosing the right sign can also be a difficult task if you’re building a business at a new location. You’ll have to double check for any laws in your municipality that limit certain types of signage. These are some examples of work that we here at Ram Signs in Farmington have done over the last few years. This guide will help you make the right choice for your business. 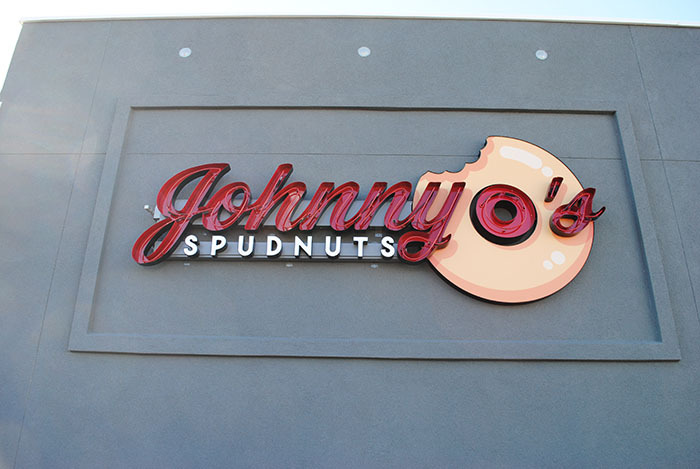 Pylon Signs – pylon signs tend to be used in places like strip malls and shopping centers where there are multiple businesses in the same lot. These signs are lit from behind and are meant to be read from far away (usually from the road). Pole Signs – Made to be seen from a distance while potential customers are driving by, these signs can stand several stories off the ground and can feature a single pole, double pole, concrete block, or archway. We’ve built these signs for Blue Diamond Auto Spa, Four Corners Community Bank, San Juan Plaza, Chapter Houses on the Navajo Nation, as well as many schools in the Four Corners. Monument Signs – RAM Studios Signs offers monument signs for offices, strip malls, apartment complexes, city borders, community centers, and more. These signs are secured in the ground and are displayed near the front entrance, usually between 3 and 8 feet high. They can be simple rectangular shapes or cut to fit the theme of the property; made with brick, stone, concrete, metal or vinyl. Channel Letters – Channel letter signs are the type you see on the outside of buildings that are large, 3D, lighted letters to make up the logo or company name. These can be made in any color and customized in the font and size you want. These may be one of the most important signs your business can have. LED Signs – These signs feature moving images in digital frames. They can be stand-alone signs or part of other signs, such as pole signs. The use of LED lighting has replaced the use of neon in some applications, such as channel letters. Let us show you how this new lighting source can help light up your sign world with low maintenance, high visibility that can save you up to 90% of your energy costs! Neon Signs – Neon signs tend to add a more retro feel to the exterior of your business. Although they can be a bit more expensive, they do add a very unique appeal to the exterior of your building, and tend to be strong beacons in nighttime hours. 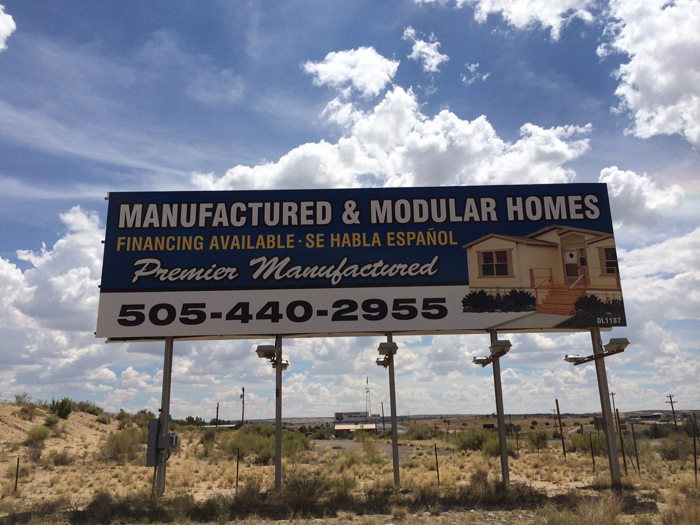 Billboards – Billboards can be a great option for businesses that don’t maintain a traditional storefront. They are often placed in areas of town frequented by many passersby, and tend to be very attention grabbing. In addition, there are options available to add lighting so they can be viewed at night.